Work for Google Cloud Resource Manager? Learning about Google Cloud Resource Manager? "Sharing is Caring - and easy to boot with GCRM"
One of the best features with this CRM software is the ease with which it integrates with the rest of Google Suite. At this point, my only concerns with Google CRM are the ones I have with Google generally - what is security like for my information? Will this info be shared with ads? Important questions that become more pressing as digital information becomes more precious and political. If you want to make your clients' lives easier, use something they are already familiar with, Google CRM hits the spot. One of the biggest problems I had with using other software was that clients would quickly switch to google drive and ask me or other employees to put their content back into the cloud resource manager. This is stressful and creates double editions of everything. Because of the widespread use of Google Suite, being able to keep everything there is a huge burden off our shoulders. "Google Cloud - The Must Have Tool For Graphic & Video Storage management"
How easily you can navigate and organize through the website, it took me about 5 minutes to figure it all out. I also love how fast you can upload and drop things exactly where they need to be, you have choices. One of the best features is how it monitors everything, since it is the manager side it lets you set up everything in your business or computer life that you need to overlook. I think it's pricing is a tad high for all the different options, with competitors pricing it will hurt. As a blogger, people are looking for value. There is not much to say that is bad about this, the ease of use makes it a winner in my eyes. When I have to train a new employees, there are programs out there, that make me sit and hold their hands, this is NOT one of them. keeps my large files save and off my computer, where it slows him down. *employees get and understand it. "free resource, not often taken advantage of"
Comparable products like this are often not free, whereas Google Cloud Resource manager is entirely free of charge, so there's nothing preventing anyone from trying this out. Using folders takes some getting used to- but this is both a criticism and a benefit- because one has to be assigned 'folder creator' and get permission to access folders, GCRM functions a lot like other Google Suite apps (word, excel, PPT), where one doesn't have to worry about the wrong individuals editing or changing documents- only those with explicit access to the files can make changes. This product has no flaws, but it can't be easily recommended either because it is HIGHLY specific in its nature- I would imagine that many work environments would have no need for something like this. Another thing that Google as a whole should work on, both with Suite and here, is the ability to download more untraditional types of files. The biotechnology sector is exploding- biology is consistently one of the top majors for undergraduates- there are files that are still not possible to store with Google- .pdb files are common files for programs that show protein structure on a chemical level- Sigma Plot is a program much like Excel whose files wouldn't be recognized. Administrators can easily see all projects being worked on simultaneously- I can imagine that this is useful in an office setting, where there is no way that all departments are working on projects simultaneously, making visualizing what others in the company are doing very useful, especially considering all the miscommunication that goes on as the number of people employed increases. However, I'd also like to highlight a strength it has in the laboratory setting- as someone who works in a research laboratory, no matter how small the number of people employed is, lab technicians tend to work on experiments separately. A lab manager would greatly benefit from being able to access everyone's data at once without having to individually schedule meetings with people, and more importantly, lab technicians themselves may have access to the lab manager, but I don't know how often it is that they have access to each other. Seeing what experiments others have worked on could allow you to a) see their data and b) organize projects/plan ahead such that you're only making reagents that you know will be needed in the immediate future based on what projects are upcoming.
" Very user-friendly and not too much To deal with when you actually do it as other programs have"
"Google Cloud Resources make Everything Smooth"
"Reusable and Simple Deployment Cloud"
References: One resource definition can reference another resource creating dependencies and controlling the order of resource creation. Preview Mode: See what changes Deployment Manager will make on a create or update operation before you commit the changes. Deployment Manager lets you consistently deploy, update and delete resources like Google Compute Engine, Google Container Engine, Google BigQuery, Google Cloud Storage and Google Cloud SQL. YAML is a flexible, human-readable file format that is ideal for storing object trees. YAML stands for “YAML Ain’t Markup Language”. It is easier to read (by humans) than JSON and can contain richer metadata. It allows you to specify all the resources needed for your application in a declarative format using YAML. "The best resource to backup files"
The amount of storage space and the options for organizing your folders and sub-folder. I also like the auto back-up feature as well. I dont think there is anything I dislike about the product. I would highly recommend this product to others to use at home and at their place of business. Its a very useful tool to have in the event of a hard drive or server crash and data is lost. I primarily use it to back up all work files and finding that one of the best benefit is the amount of storage available with the option for expansion. 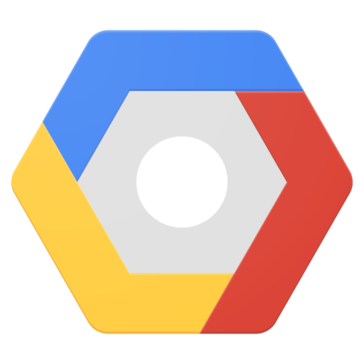 "Love using Cloud Resource Manager"
Love the flexibility of GCP resource containers including Organizations and Projects. We use the Organization resource to maintain centralized visibility of our projects and GCP IAM policies to ensure consistent access controls throughout the company. This gives our developers the capabilities they need to put security at the forefront throughout our migration to the cloud. Ownership is a great feature, but can also be mistreated by some in the heirarchy. Easily connects those in the G Suite, and makes it available to all in the company who have access to control. I wish you could assigb access approval to ab individual sirectly instead of just their role. Allowing office managers to provide authorization on who can work on specific resources helps to keep the office organized allows us to manage on 1 playform what we usually would on multiple. "Great product for large organizations to share data across devices and locations "
The ability to organize and toggle through many folders with ease for a large company and to be able to project manage multiple projects in a single location is key. "Google Cloud as a solution for Small Non-profit"
I did not like the cost of the product for our smaller company. We used the product to track and manage projects across our employees. I really enjoyed the ease of use. Google did a successful job creating their cloud. I doubted it would be as easy to use as Apple’s. Not a lot of other professionals have used it so it was hard to receive advice on the software. "I loved using google cloud resource manager to create and update project metadata." I liked how easy it was for me to use the google cloud resource manager! It was incredibly user friendly. There is nothing I dislike about the google cloud resource manager. It was a blast for me. I have solved many project metadata problems, I've realized that google can not only store the large files, but also process through them at a really fast pace. "Wasn't too fond of the user experience but the data transfer feature was the most efficient. " I enjoyed how simple the asset management tool was to use for a beginner. I found it difficult to organize and migrate existing projects into new folders. DO your research and try different cloud platforms before jumping in. I used it at organizations to manage assets and keep track of client information. It was a good place to keep everything streamlined. I like how the program allows for synching across multiple devices. It is simple and efficient. I do not like how it is faulty at times. Sometimes files do bot synch properly and the file become damaged or faulty. This software allows for large amount of data to be shared among users and devices. It saves an enormous amount of time. "Organizing with Google Cloud Resource Manager"
Free use. You can create different folders for your Hierarchi.. Only administrators have complete access to all folders under our organiztion folder. Very conveinent and well organized! Nothing at this time. The company had been using the product for a while before I joined! Stable, secure, reliable. Google has been a trusted name in IT for years for a reason. I cannot say that there is anything I dislike about Google except perhaps the constant syncing (while extremely helpful)is a bit overwhelming at times. Secure file storage and remote access. Can easily organize and share information with a specific team or multiple teams. It could probably be a bit better/easier for newer/less technical users. A bit confusing on how to access/locate information. Organizing and maintaining company wide projects in order to streamline information across departments. "Google Cloud Resource Review "
Its hard to find my deleted resources at times. Create an organization that contains all of your projects and resources. Create Folders to groups projects by department, team, application or environment. Very user-friendly and easy to use. Have had the same experience with all Google products. May initially be a little bit confusing but if you are familiar with Google products you should be fine. Able to manage all of my content much more efficiently. The way they present the resources is very complicated and slow to load. To find out how many resources and which resources can be purged. I like the ease of use and our needs being met. I really don't have anything negative to say. Take your time get to know the product. I am in the field of accounting so it is helping in that area. "Love Google and all their products"
"Great Resource Manager for keeping track of everything"
* We monitor all Google Cloud Resource Manager reviews to prevent fraudulent reviews and keep review quality high. We do not post reviews by company employees or direct competitors. Validated reviews require the user to submit a screenshot of the product containing their user ID, in order to verify a user is an actual user of the product. Hi there! Are you looking to implement a solution like Google Cloud Resource Manager?